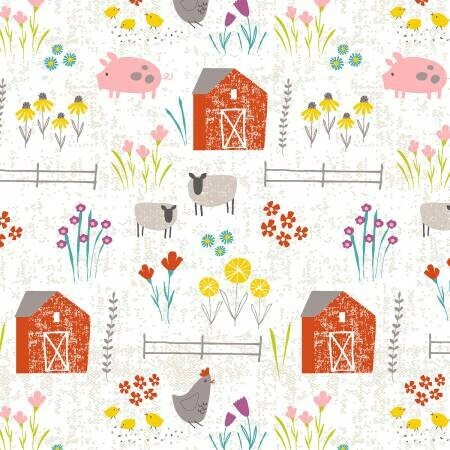 Adorable Wildflower Farm Group by Shannon Hays. 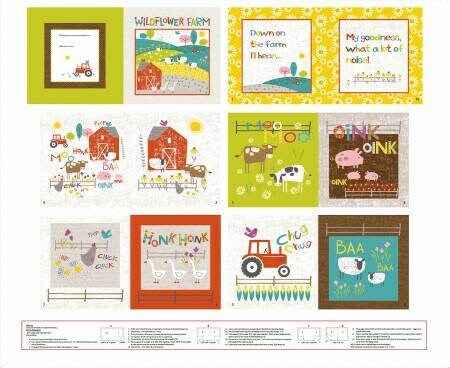 This panel makes a sweet soft, fabric book for any baby or toddler. 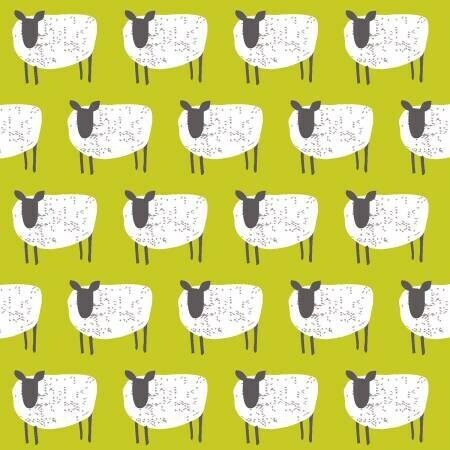 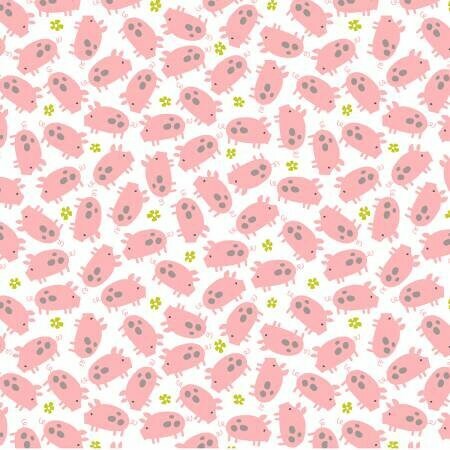 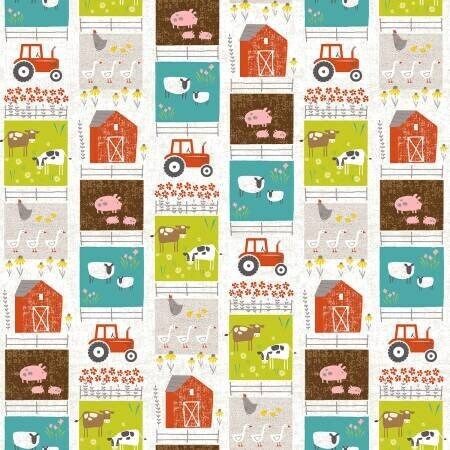 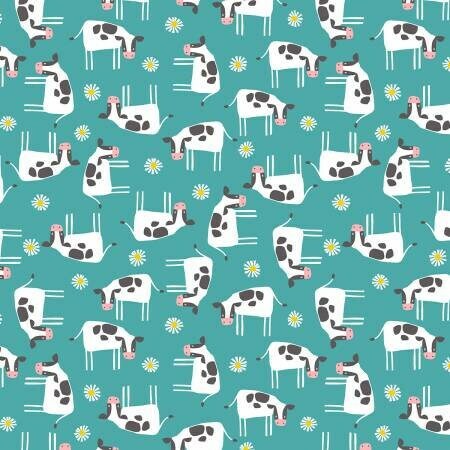 Also available are pink pigs,, turquoise cows, lime sheep, brown farm words and an all over farm print stripe. 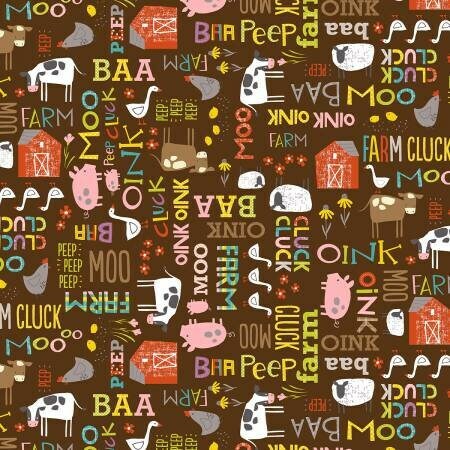 You will love this grouping for any fun baby's room or even playroom.